Kamya Panjabi is an Indian television actress, who generally plays the vamp or negative characters in Hindi television serials   and is also well known for Standup comedy. She participated in the reality show Bigg Boss 7 in 2013. Panjabi is an actress who has played several roles in Hindi films such as Kaho Naa Pyaar Hai (girl taunting Amisha Patel on the cruise ship), Na Tum Jaano Na Hum (lady in the final wedding scene) and Koi Mil Gaya (one of the inhabitants of the Hill Stations). In 1997, she featured in a music video called Mehndi Mehndi, and was also part of the music video Kala Shah Kala by Anamika. She was also seen in the movies Yaadein (talking to Kareena Kapoor at the cycle race competition), as well as in Phir Bhi Dil Hai Hindustani (as a news reporter). In addition, she was also seen in a Telugu movie titled Maa avida meeda ottu mee avida chala manchidi. (In the movie, Punjabi is seen as Prakash Raj's fiancé in Goa.) In "Priyamaina neeku" Telugu movie appeared in first song "nachenu ra nachenu ra". Na Tum Jaano Na Hum is a 2002 Indian romantic drama film starring Saif Ali Khan, Hrithik Roshan, and Esha Deol. The film was directed by Arjun Sablok. Yaadein is a 2001 Bollywood musical drama film written, directed, edited and produced by Subhash Ghai. The ensemble cast cross over film starring Hrithik Roshan, Kareena Kapoor, and Jackie Shroff in lead roles, was released worldwide on 27 July 2001 to negative reviews. It was inspired by Jane Austen's Pride and Prejudice. Yaadein was a box office disappointment and the first flop for director Subhash Ghai. The soundtrack and background score composed by Anu Malik received positive reviews, and remained a Chartbuster. Jackie Shroff received nomination for Best Performance in a Supporting Role, Male at the 47th Filmfare Awards. Despite its box office failure, the film was profitable due to ancillary revenues of ₹21 crore, including ₹8.2 crore from selling music rights to Tips. Reth is a fictional city in the Forgotten Realms campaign setting for the Dungeons & Dragons fantasy role-playing game. Reth is one of the five free cities located in the Chondath region of the Vilhon Reach in Faerûn. Astitva - Ek Prem Kahani was a Hindi-language soap opera that aired on Zee TV channel for more than 3 years. The story focuses on the concept of women's identity through the character of Dr. Simran, who embodies patience, consistency and suppression in a subtle way. She is a gynecologist who enters a complex situation when she marries a man 10 years younger than herself. It shows the ensuing struggles in her life. Woh Rehne Waali Mehlon Ki is an Indian Hindi language Indian television series that airs on Sahara One channel. The series premiered on 30 May 2005. It dubbed in Tamil as Periya Idattu Penn. It also run Dangal TV. Mika Singh is a Bollywood playback singer and live performer. Amongst a wide catalogue of songs, the prominent ones are "Bas Ek King", "Mauja Hi Mauja", "Ibn-e-Batuta" (Ishqiya), and "Dhanno" (Housefull). Mika began his career at an early age and has released several solo albums. He also acted on various reality shows, becoming a modest star in the country. 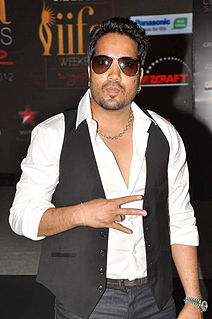 Mika Singh is younger brother of Punjabi singer Daler Mehndi. Diwaker Pundir is an Indian actor in Bollywood and a model. He has won the title of Graviera Mister India 1998. He was second runner-up at Mr Intercontinental Contest held at Germany. Kishori Shahane is an eminent classical and folk dancer and actress in the Marathi language film industry of India. She is married to Hindi filmmaker Deepak Balraj Vij. She is a producer who helped make a film about the life of Sai Baba of Shirdi. Shoma Anand is an Indian film and television actress. Although she has frequently played supporting roles or made cameo appearances throughout the 1980s and 1990s, she started her career opposite Rishi Kapoor as lead actress in Pramod Chakraborty's superhit romantic-crime movie Barood, then played a good role in Patita, produced and directed by the same person. She had a few other films in which she was the lead, such as Jagir and Coolie in the 1980s. From the late 1990s to present, she has played minor and supporting roles in films like Jaise Karani Waisi Bharani, Coolie, Hungama, Kyaa Kool Hai Hum and Kal Ho Naa Ho. Anita Kanwal is an Indian television actress and producer who has acted in television serials such as Chanakya, Shanti and Sonpari. But she is best known for her negative role of Mrs. Seth, the mother who gets her own son killed, in the 1990s Zee TV soap opera Banegi Apni Baat. Sukirti Kandpal is an Indian television actress known for her roles in the shows Dill Mill Gayye, Pyaar Kii Ye Ek Kahaani, Dilli Wali Thakur Gurls. In 2014 she appeared in Kaisa Yeh Ishq Hai... Ajab Sa Risk Hai. She was also a contestant on Bigg Boss 8. In 2017, she played the lead in Zee TV's show Kaala Teeka, season 2. Karishma Tanna is an Indian film actress, television actress, model and anchor who predominantly works in Hindi films and shows. She is well known for her roles in Kyunki Saas Bhi Kabhi Bahu Thi, Naagarjuna – Ek Yodha and Qayamat Ki Raat. She was a contestant and first runner-up in the reality show Bigg Boss in 2014. She also appeared in other reality shows like Zara Nachke Dikha (2008), Nach Baliye (2015) and Jhalak Dikhhla Jaa (2016). Sai Deodhar Anand is an Indian television actor who has worked in popular television soap operas, such as Saara Akaash and Ek Ladki Anjaani Si. Recently, she has appeared in Kashi on Imagine TV, where she played the role of a mother of a 6-year-old girl. Sai is also busy in shooting of an unnamed film to be produced by her husband Shakti Anand. She appeared in her first role as a child artist in a 1993 Marathi Movie - 'Lapandav', where she played a mishchievous young sister of the protagonist, who kicks off comedy of errors that unfolds in the movie. Neha Pendse is an Indian film and television actress. She was born & brought up in Mumbai & completed her schooling there. Nehha was introduced on India-based satellite television channel Zee Marathi’s Bhagyalakshami. Pendse has acted in Marathi, Tamil, Telugu, Malayalam, and Hindi films. She was a contestant on the popular reality show Bigg Boss in 2018. Surbhi Jyoti is an Indian television actress known for her role in the show Qubool Hai. Currently, she plays the role of Ruhi (Bela) in Naagin 3. Bigg Boss 7 is the seventh season of the Indian reality TV series Bigg Boss which aired on TV channel Colors TV from 15 September 2013, with Salman Khan returning as the host for the fourth time and this season is longer than its predecessor, Bigg Boss 6 and lasted for 15 weeks concluding on Saturday, 28 December 2013. The seventh season was launched with the tagline- 'Jannat Ka Wow Aur Jahannam Ka Aaw Dekhege Saath Saath'. The show started airing on 15 September. Shilpa Shinde is an Indian television actress. She is known for her role in STAR Plus's soap opera Bhabhi (2002–08), and Angoori Bhabhi in & TV's sitcom Bhabhi Ji Ghar Par Hai!. In 2017, she participated in Bigg Boss and became the winner. Payal Rajput is an Indian actress known for her works in television, Punjabi cinema, and Telugu cinema. She made her cinematic debut in 2017 Punjabi film Channa Mereya. She next appeared in the Telugu film RX 100 which released in 2018. Karan Goddwani is an Indian television actor. He is known for his portrayal of Vicky Walia in the comedy romance Jugni Chali Jalandhar, NK in the romantic drama Iss Pyaar Ko Kya Naam Doon?, Johnny in the light-hearted comedy Jeannie Aur Juju, Vikram Rathi in the popular serial Diya Aur Baati Hum, Kushal in the sitcom TV, Biwi aur Main and Kishan in the television series Agnifera. He was also seen in the romantic shows Dil Se Dil Tak and Kasam Tere Pyaar Ki. Shaleen Malhotra is an Indian VJ and television actor. As one of the most renowned Indian television celebrities, he has established a career in Hindi television shows. He made his television debut with Star Plus' crime based action show Arjun as ACP Arjun Suryakant Rawte. Nalini Negi is an Indian television actress and model. She was born in delhi,but her native place is himachal pradesh. She had pursued her Graduation from Gargi College, University of Delhi and passed out in 2008..
Darr Sabko Lagta Hai is an Indian anthology horror fiction television series, which premiered on 31 October 2015 and was broadcast on &TV. The series aired on every Saturday and Sunday nights. The series was produced by Reel Life Entertainment. Ending on 17 April 2016, two seasons of the series have been successfully aired. Bipasha Basu hosted the first season of the series. Shraddha Jaiswal is an Indian television actress, who has appeared in Hindi television series, like Gustakh Dil, Shastri Sisters, Madhubala – Ek Ishq Ek Junoon, Darr Sabko Lagta Hai, Belan Wali Bahu and Roop - Mard Ka Naya Swaroop. She is seen in a cricket reality show Box Cricket League. Mohit Abrol is an Indian television actor known for being a part of various shows like: Balika Vadhu,Razia Sultan, Pyaar Ko Ho Jaane Do,Tum Saath Ho Jab Apne, MTV Fanaah, Meri Aashiqui Tum Se Hi, Swaragini - Jodein Rishton Ke Sur, Gangaa and Kavach...Kaali Shaktiyon Se. ↑ Koi Mil Gaya. "Kamya Panjabi Movies, Biography, News, Photos, Videos & Awards | FilmiBeat". Entertainment.oneindia.in. Retrieved 22 April 2018. ↑ Colors (18 April 2018). "Aapkacolors | Colors TV US Website: Aapkacolors, Colors TV Shows, Photos, News, Promo videos". Colors.in.com. Retrieved 22 April 2018. ↑ "Kamya Panjabi goes bare back to support Ekta Kapoor for her film Lipstick Under My Burkha". ↑ "HugeDomains.com - RadioSargam.com is for sale". Radio Sargam. Retrieved 22 April 2018. ↑ "Kamya Punjabi to star in 'Darr Sabko Lagta Hai'". TOI. 8 January 2016. Retrieved 9 January 2016.